Look at all the Arkansas land and homes we've sold! 2 PECO Poultry House farm, Living House, Mobile, 3 Ponds, on 75+/- Acres, Zion, AR, Izard Co.
140+/- Wooded Acres on Highway 167 just North of Cave City, AR, Sharp Co. Strawberry River Frontage with Great Hunting, 200+/- Acres, Great Building sites, Sharp Co. This Large Home on 29+/- Acres with a Large Pond in Cord, AR, Independence Co.
183,000 +/- Grain Bins, fully operational with 4+/- acres, McCrory Ar, Woodruff Co.
40+/- Acres, 2 Ponds, Fully Fenced, Barn, Shop, 3 Bedroom 1 Bath House with a 2003 Mobile, 3 bedroom 2 bath in Smithville, AR, Sharp Co.
100 +/- Acres, fenced and cross fenced for cattle, 4 ponds, creek, Nice Home Place overlooking Large Pond, Bradford, AR, Jackson Co.
Beautiful 3 Bedroom 2 Bath Home on 3.99 Acres with a 2 Car Garage and a Separate Shop in Sharp County, Arkansas. Home on 93+/- Acres fully fenced for goats with shop and barn in Fulton Co. This 4 bedroom 2.5 bath home, above ground pool, shop and sits on a quiet street in Cave City, AR, Sharp Co.
3 bedroom 2 bath, Mobile home on 32 +/- Beautiful Acres with a large 5 +/- Acre Lake, Pasture, fenced, highway 25 Road Frontage just a couple miles from Lake Charles in Powhatan, AR, Lawrence Co.
Nice 3 bedroom 2 bath located with a lake access in Cave City, AR, Independence Co. This 4 bedroom 3 full bath 1800 MOL sq. ft. home with large 1/2 acre +/- lot is only minuets to shopping, medical, and all the luxuries of city life, while on a dead end road in a quite subdivision in Batesville Ar. Hunters Paradise, 40 +/- Acres, Pond, Mature Timber, Near Floral, AR, Independence Co. This 14350 Sq ft MOL, ,metal truss building with 2 loading docks and side drive in entrances, on 2.75 acres MOL has been set up to use industrial air compressor, has office area and designated restroom areas. 45+/- Acres loaded with Mature Timber and a pond in Oxford, AR, Izard Co.
3 bedroom, 1 bath ,remodeled, central heat and air ,1888 sq ft +/- , 24 x 30 shop, privacy fenced, Hoxie Ar.PRICE REDUCED!!! This Cute 2 bedroom Home and Shop in Sharp Co.
Large 3 bedroom 2 bath 1994 Mobile home on large lot in Cave City, AR. 2004 Clayton Mobile Home on 3 +/- Acres, 2080 sq ft, 3 bedroom 2 bath, Poughkeepsie, AR, Sharp Co.
15+/- Acres, Just off highway 167 between Batesville and Cave City in Independece Co.
7.22 acres of pasture land in Gainesboro area outside of Batesville Ar. Independence County. A 2001 fixer upper 5 bedroom Doublewide. 20+/- Acres with Mature Timber with Electricity on property in Fulton Co.
11+/- acres in Osage Hills Subdivision in Sharp County, Arkansas. 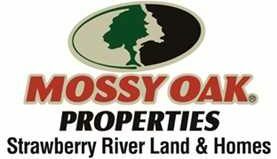 Includes Stocked Lake Rights and over 600 acres for hunting! 5+/- Acres with rights to hunt 600+/- acres and fish a stocked lake in Sharp Co. This is a 2 acre old home place with utilities close and once cleared would make great building spot or place for a mobile home. PRICE REDUCED!!! !